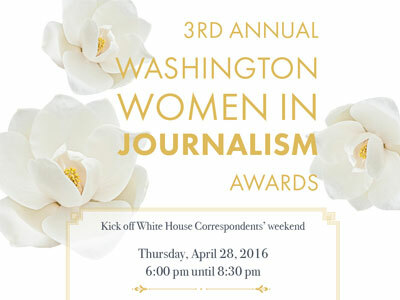 Dana Bash, Kathryn Lopez and Carolyn Ryan will be honored. Instead of drawing on the usual WHCD weekend celebration blitzkrieg of celebrities, celebrity chefs and their offerings, Story Partners chairman Gloria Story Dittus decided three years ago to craft a celebration around what she felt was absent from the WHCD scene: an homage to Washington’s women journos. This is how the Washington Women in Journalism Awards, now in its third year, was born. CQ Roll Call joined last year as a partner, taking responsibility for the selection of finalists and for coming up with the criteria the advisory board uses to make the final decisions. Four women will be honored at this year’s reception, which takes place this Thursday at 6:00 p.m. The CQ Roll Call Lifetime Achievement Award winner will be announced that evening, but the other three honorees have already been named. CNN chief political correspondent Dana Bash will receive the award for outstanding broadcast journalist, National Review Online editor at large Kathryn Lopez the award for outstanding periodical journalist and New York Times political editor Carolyn Ryan the outstanding newspapers/wire journalist award. Roll Call EIC Melinda Henneberger will be on hand to talk with the award winners about their experience coming up as journalists, and well as their view of journalism today. “We thought it was important to not only celebrate the important achievements of these women, but to take a few moments to hear about the road to this success,” said Henneberger in a statement. It’s been a good year for female Pulitzer winners, but it doesn’t change the fact that the work of females in journalism is way more likely to go unrecognized than the work of male journalists, making it important to actively highlight the achievement of women in the field.